IDAHO (the 43rd state, 3 July 1890) — The Gem State. Capital: Boise. Idaho can be found on page 570 in your almanac and on plates 36 and 142 in your atlas. Name origin: “Said to be a coined name with the invented meaning ‘gem of the mountains’; suggested for the Pikes Peak mining territory (Colorado), then applied to the new mining territory of the Pacific Northwest. Another theory suggests Idaho may be Kiowa Apache term for the Comanche” (almanac page 423). State bird: Mountain Bluebird. Website: www.idaho.gov. 🇨🇭 SWITZERLAND — in central Europe. Population: 8,236,303. Capital: Geneva. Website (in English and several other languages): www.ch.ch. 🇸🇾 SYRIA — in the Middle East. Population: 18,028,549. Capital: Damascus. Website (in Arabic): www.egov.sy. 🇹🇼 TAIWAN — off the southeast coast of China. Population: 23,508,428. Capital: Taipei. Website (in English and Chinese): www.taiwan.gov.tw. 🇹🇯 TAJIKISTAN — in central Asia. Population: 8,468,555. Capital: Dushanbe. Website (in Tajik, Russian, English, and Arabic): www.president.tj. These all appear in your current almanac, atlas, and history encyclopedia as well. For example, you’ll find the main entries for the island-nation of Taiwan on almanac page 839, atlas plates 88 and 140, and history encyclopedia page 588, with illustrations, flags, and other mentions available through the indexes in each volume. ❡ Little lessons: “Did you know that the alpine nation of Switzerland adopts a policy of ‘armed neutrality’ with respect to all global conflicts, and has not been involved in a foreign war since 1515?” You can find a facts-and-figures outline of Switzerland on page 838 in your River Houses almanac and on plate 140 in your atlas, with a map of the country on atlas plate 69 (riverhouses.org/books). 🌔 THE MOON at the beginning of this week is gibbous and waxing — it will be full on the 28th. Track the moon’s phases each month at timeanddate.com/moon/phases, and dial up this week’s constellations with your River Houses star atlas (riverhouses.org/books). MONDAY (25 June) — Today is the birthday of celebrated children’s book illustrator Eric Carle, author of The Very Hungry Caterpillar (1969). In his honor, why not pay a virtual visit to the Eric Carle Museum of Picture Book Art in Amherst, Massachusetts. ⬩ Calendar trivia: the 25th of June in 1987, written as either 25/06/1987 or 06/25/1987, was the last date on which all the digits are different. The next such day will not occur until the 17th of June in 2345 (17/06/2345 or 06/17/2345). TUESDAY (26 June) — Today is the birthday of French astronomer Charles Messier (1730–1817), whose catalog of nebulae, star clusters, and galaxies systematically described some of the most beautiful objects visible with a small telescope. His numerical designations for these “Messier Objects” are still in common use today: “M1” is the Crab Nebula, “M20” is the Trifid Nebula, “M31” is the Andromeda Galaxy, and so on. ⬩ Today is also the birthday of American writer and Nobel laureate Pearl S. Buck (1892–1973). WEDNESDAY (27 June) — Today is the birthday of famed children’s entertainer Bob Keeshan (1927–2004), “Captain Kangaroo.” ⬩ Something mysterious will be happening this week on remote Baker Island in the Pacific Ocean. Visit www.baker2018.net to find out what it is. THURSDAY (28 June) — The great Flemish painter Peter Paul Rubens was born on this day in 1577. ⬩ Today is the birthday of the English clergyman John Wesley (1703–1791), one of the founders of Methodism. ⬩ On this day in 1919, World War I came to an end with the signing of the Treaty of Versailles. FRIDAY (29 June) — Today is the birthday of the famed French poet, pilot, and children’s writer Antoine de Saint-Exupéry (1900–1944), author of The Little Prince (Le Petit Prince, 1943). SATURDAY (30 June) — On this day in 1908, the largest asteroid impact event in recorded history resulted in a massive explosion over eastern Siberia. The so-called Tunguska Event destroyed hundreds of square miles of forest and released energy equivalent to three to five million tons of TNT. ⬩ In recognition of the Tunguska Event, the United Nations has declared June 30th of each year to be International Asteroid Day (asteroidday.org). 🌎 EVERYTHING FLOWS: Tajikistan is one of our countries-of-the-week, so our Weekly World River is the Panj River, which forms much of the border between Tajikistan and Afghanistan. You can chart its course in your River Houses atlas (riverhouses.org/books), and you can read much more about it in the comprehensive Panj River entry in Wikipedia or on your next visit to your local library. The Panj River Valley on the border between Tajikistan and Afghanistan. (Image: Wikimedia Commons.). WASHINGTON (the 42nd state, 11 November 1889) — The Evergreen State. Capital: Olympia. Washington can be found on page 589 in your almanac and on plates 36 and 142 in your atlas. Name origin: “Named after George Washington” (almanac page 423). State bird: American Goldfinch. 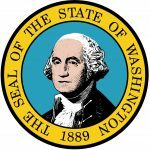 Website: access.wa.gov. 🇸🇩 SUDAN — in eastern Africa. Population: 37,345,935. Capital: Khartoum. Website (in Arabic and English): www.presidency.gov.sd. 🇸🇷 SURINAME — in northern South America. Population: 591,919. Capital: Paramaribo. Website (in Dutch): www.gov.sr. 🇸🇿 SWAZILAND — in southern Africa. Population: 1,467,152. Capital(s): Mbabane/Lobamba. Website (in English): www.gov.sz. 🇸🇪 SWEDEN — in northern Europe. Population: 9,960,487. Capital: Stockholm. Website (in English and several other languages): sweden.se. These all appear in your current almanac, atlas, and history encyclopedia as well. For example, you’ll find the main entries for the Scandinavian country of Sweden on almanac page 838, atlas plates 66 and 140, and history encyclopedia page 538, with illustrations, flags, and other mentions available through the indexes in each volume. ❡ Little lessons: “Did you know that the the Swedish capital of Stockholm is so far north that at this time of year (June) the sun rises before four o’clock in the morning and doesn’t set until after ten o’clock in the evening?” You can find a facts-and-figures outline of Sweden on page 838 in your River Houses almanac and on plate 140 in your atlas, with a map of the country on atlas plate 66 (riverhouses.org/books). 🌒 THE MOON at the beginning of this week is lovely waxing crescent — a good time for stargazing! Track the moon’s phases each month at timeanddate.com/moon/phases, and dial up this week’s constellations with your River Houses star atlas (riverhouses.org/books). TUESDAY (19 June) — On this day in 1865, more than two years after the Emancipation Proclamation went into effect, Union troops announced to slaves still living in Galveston, Texas, that they were free. The date is celebrated in Texas and many other states as “Juneteenth” Independence Day. THURSDAY (21 June) — It’s the summer solstice! The northern hemisphere summer officially begins today (in astronomical terms). In the southern hemisphere, today is the first day of winter. Read more about the June solstice at timeanddate.com/calendar/june-solstice. FRIDAY (22 June) — On this day in 1633, the Catholic Church forced Italian scientist Galileo Galilei to “abjure, curse, and detest” the view he formerly supported, namely that the earth revolved around the sun and was not fixed at the center of the universe. SATURDAY (23 June) — The great English mathematician Alan Turing was born on this day in 1912. His pioneering work in computer science and cryptanalysis was instrumental in the breaking of German codes during World War II. 🌎 EVERYTHING FLOWS: Sudan is one of our countries-of-the-week, so our Weekly World River is one of the two main tributaries of the Nile River, the Blue Nile, which flows from Ethiopia northwest across Sudan and joins the White Nile at the Sudanese capital of Khartoum. You can chart its course in your River Houses atlas (riverhouses.org/books), and you can read much more about it in the comprehensive Blue Nile entry in Wikipedia or perhaps on your next visit to your local library. MONTANA (the 41st state, 8 November 1889) — The Treasure State. Capital: Helena. Montana can be found on page 578 in your almanac and on plates 36 and 142 in your atlas. Name origin: “Latin or Spanish for ‘mountainous’” (almanac page 423). State bird: Western Meadowlark. 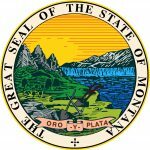 Website: mt.gov. 🇿🇦 SOUTH AFRICA — in southern Africa. Population: 54,841,552. Capital: Pretoria/Cape Town. Website (in English): www.gov.za. 🇸🇸 SOUTH SUDAN — in northeastern Africa. Population: 13,026,129. Capital: Juba. Website (U.S. State Department page): www.state.gov/p/af/ci/od/. 🇪🇸 SPAIN — in southwestern Europe. Population: 49,958,159. Capital: Madrid. Website (in Spanish and English): www.lamoncloa.gob.es. 🇱🇰 SRI LANKA — in the Indian Ocean. Population: 22,409,381. Capital: Colombo. Website (in Sinhala, Tamil, and English): www.gov.lk. These all appear in your current almanac, atlas, and history encyclopedia as well. For example, you’ll find the main entries for Spain on almanac page 835, atlas plates 65 and 139, and history encyclopedia page 522, with illustrations, flags, and other mentions available through the indexes in each volume. ❡ Little lessons: “Did you know that the troubled Republic of South Sudan is one of the world’s youngest nations? It achieved its independence on 9 July 2011.” You can find a facts-and-figures outline of South Sudan on page 835 in your River Houses almanac and on plate 139 in your atlas, with a map of the country on atlas plate 99 (riverhouses.org/books). 🌘 THE MOON at the beginning of this week is a waning crescent — a good time for stargazing! (The moon will be new and the sky darkest on the 13th.) Track the moon’s phases each month at timeanddate.com/moon/phases, and dial up this week’s constellations with your River Houses star atlas (riverhouses.org/books). 🗓 TODAY (Sunday, 10 June) — Today is the 161st day of 2018; there are 204 days remaining in the year. Learn more about different kinds of modern and historical calendars on pages 351–357 in your River Houses almanac (riverhouses.org/books). ⬩ Today is also the birthday of famed children’s book illustrator Maurice Sendak (1928–2012). ⬩ One of the most noted atrocities of World War II occurred on this day in 1944, when Nazi troops massacred the entire village of Oradur-sur-Glane in France. The story of the Oradur massacre appears in the opening and closing scenes of the landmark BBC documentary series The World at War (1973–1974). MONDAY (11 June) — Today is the birthday of the great French explorer and documentarian Jacques Cousteau (1910–1997). ⬩ On this day in 1776, the Continental Congress appointed Thomas Jefferson, John Adams, Benjamin Franklin, Roger Sherman, and Robert Livingston as a committee to draft a declaration of independence for the United Colonies. ⬩ According to ancient tradition, the city of Troy was sacked and burned on this day in 1184 BC, bringing to an end the decade-long Trojan War. TUESDAY (12 June) — The Baseball Hall of Fame in Cooperstown, New York, was dedicated on this day in 1939. Let’s pay it a visit! WEDNESDAY (13 June) — Today is the birthday of the great Irish poet William Butler Yeats (1865–1939). ⬩ It is also the birthday of the American mathematician and Nobel laureate John Forbes Nash, Jr. (1928–2015), whose life and career formed the basis for the 2001 film A Beautiful Mind. THURSDAY (14 June) — On this day in 1775 the Continental Congress voted to “adopt” the thousands of New England militiamen who had been surrounding the city of Boston and its British garrison since the battles of Lexington and Concord on April 19th. Today is therefore officially considered to be the birthday of the United States Army. ⬩ And speaking of the American Revolution, on this day in 1777 Congress adopted the Stars and Stripes as the flag of the new United States — and we celebrate that anniversary now as Flag Day! 🇺🇸 ⬩ Today is also the birthday of author and publisher John Bartlett (1820–1905), whose book of Familiar Quotations (now in its 18th edition) continues to be an American classic. FRIDAY (15 June) — On this day in 1215, King John of England (under duress) put his seal to the Magna Carta — the Great Charter — at Runnymede, west of London. Magna Carta, which secured certain freedoms and limited the power of the monarch, is one of the foundational documents of English (and so American) law. SATURDAY (16 June) — On this day in 1963, Soviet cosmonaut Valentina Tereshkova became the first woman in space as the solo pilot of the Vostok 6 spacecraft, which completed 48 orbits before returning safely to earth. ⬩ Today is also the birthday of American geneticist and Nobel laureate Barbara McClintock (1902–1992). 🌎 EVERYTHING FLOWS: Spain is one of our countries-of-the-week, so our Weekly World River is the Ebro, one of the principal rivers of the Iberian Peninsula. You can chart the Ebro’s course in your River Houses atlas (riverhouses.org/books), and you can read much more about it in the comprehensive Ebro River entry in Wikipedia or on your next visit to your local library. 😊 AND DON’T FORGET: Friday the 13th comes on a Wednesday this month! Today is the anniversary of D-Day, one of the most momentous days in modern history. On this day in 1944, the armed forces of Britain, the United States, Canada, and their allies, landed on the beaches of Normandy in France and began the long struggle to retake the continent of Europe from the occupying armies of Nazi Germany. If you have older homeschoolers who are learning about World War II, one of the best approaches you can take to an event like D-Day is to listen together to some of the live news reports that were broadcast that day as the situation was unfolding. Historical anniversary days like this are also days for geography. Every homeschool should have a good atlas or collection of maps — we recommend the National Geographic atlas (riverhouses.org/books), but there are many other excellent ones available. 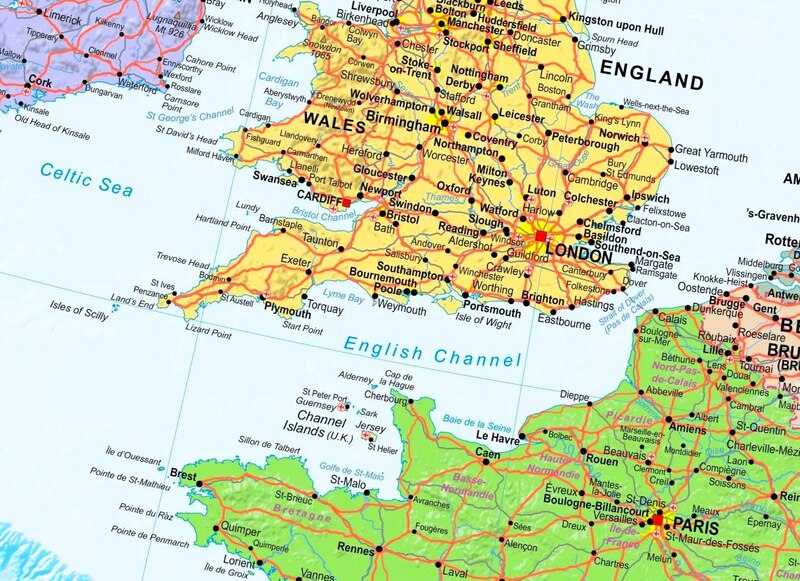 In the National Geographic atlas, Plates 61 and 63 will show you the English Channel and the location of the invasion beaches. Keep one of those maps in view as you listen to the news broadcasts above and you will be able to locate the places being mentioned by the reporters. The English Channel between Britain and France. The Normandy invasion on 6 June 1944 took place along the coastline between Cherbourg on the west and Le Havre on the east. Help your students to understand how news would have traveled in 1944 as well. There was no Internet, of course, and no cell phones. Television was limited. News reports came in (as you can hear in the broadcast) over teletype machines, and announcers would read and comment on the teletype reports. It was wartime, so there was censorship and disinformation all around. Today we can read simplified historical summaries of major events like D-Day, but as they were happening those events were often unclear and their outcomes uncertain. What historical anniversaries are you remembering in your homeschool this week? SOUTH DAKOTA (the 40th state, 2 November 1889) — The Coyote State. Capital: Pierre. South Dakota can be found on page 586 in your almanac and on plates 39 and 142 in your atlas. Name origin: “Sioux word ‘Dakota,’ meaning ‘friend’ or ‘ally’” (almanac page 423). State bird: Ring-necked Pheasant. 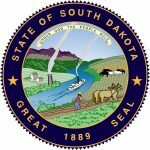 Website: sd.gov. 🇸🇰 SLOVAKIA — in East-Central Europe. Population: 5,445,829. Capital: Bratislava. Website (in English and Slovak): www.government.gov.sk. 🇸🇮 SLOVENIA — in Eastern Europe. Population: 1,972,126. Capital: Ljubljana. Website (in English and Slovenian): www.vlada.si. 🇸🇧 THE SOLOMON ISLANDS — in the Western Pacific. Population: 647,581. Capital: Honiara. Website (in English): www.parliament.gov.sb. 🇸🇴 SOMALIA — in East Africa. Population: 11,031,386. Capital: Mogadishu. Website (not currently accessible): www.villasomalia.gov.so. These all appear in your current almanac, atlas, and history encyclopedia as well. For example, you’ll find the main entries for the troubled African nation of Somalia on almanac page 833, atlas plates 99 and 139, and history encyclopedia page 564, with illustrations, flags, and other mentions available through the indexes in each volume. ❡ Little lessons: “Did you know that Slovenia was one of several nations formed as a result of the breakup of the former nation of Yugoslavia during the 1990s?” You can find a facts-and-figures outline of Slovenia on page 833 in your River Houses almanac and on plate 137 in your atlas, with a map of the country on atlas plate 69; your history encyclopedia provides an illustrated overview of the terrible Yugoslavian wars of that period on pages 450–451 (riverhouses.org/books). 🌖 THE MOON at the beginning of this week is gibbous and waning — an increasingly good time for stargazing! (The moon will be new, and the sky darkest, on the 13th.) Track the moon’s phases each month at timeanddate.com/moon/phases, and dial up this week’s constellations with your River Houses star atlas (riverhouses.org/books). 🗓 TODAY (Sunday, 3 June) — Today is the 154th day of 2018; there are 211 days remaining in the year. Learn more about different kinds of modern and historical calendars on pages 351–357 in your River Houses almanac (riverhouses.org/books). ⬩ June 3rd was the worst day of fighting during the 1864 Battle of Cold Harbor in Mechanicsburg, Virginia, in the American Civil War. ⬩ Today is also the birthday of the great Egyptologist Flinders Petrie (1853–1942). MONDAY (4 June) — On this day in 1783, the Montgolfier brothers made the first public demonstration of their hot-air balloon, flying more than two kilometers over the community of Annonay in France. ⬩ The first Pulitzer Prizes were awarded on this day in 1917. ⬩ On this day in 1989, the Communist government of China violently put down a student-led protest movement that had been occupying Tiananmen Square in Beijing since mid-April. Hundreds, and perhaps thousands, of protestors were killed (an accurate count has never been established). TUESDAY (5 June) — The first serial installment of Harriet Beecher Stowe’s anti-slavery novel Uncle Tom’s Cabin; or, Life Among the Lowly appeared on this day in 1851 in the abolitionist National Era newspaper. It eventually became the best selling novel of the nineteenth century. THURSDAY (7 June) — On this day in 1776, Richard Henry Lee of Virginia presented what is now called the “Lee Resolution” to the Continental Congress, proposing that the thirteen American colonies declare independence from Great Britain. ⬩ Today is also the birthday of the American poet Gwendolyn Brooks (1917–2000). FRIDAY (8 June) — Today is the birthday of the great Italian violinist and composer Tomaso Albinoni (1671–1751). ⬩ Francis Crick, co-discoverer of the double-helical structure of DNA, was born on this day in 1916. ⬩ George Orwell’s dystopian novel Nineteen Eighty-Four — a staple of high-school literature courses — was published on this day in 1949. ⬩ On this day in 2004, the planet Venus passed across (transited) the face of the sun for the first time in more than a century. The next transit of Venus will not occur until the year 2117. 🌎 EVERYTHING FLOWS: Somalia is one of our countries-of-the-week, so our Weekly World River is the Jubba River, which flows from Ethiopia south through Somalia and into the Indian Ocean. You can chart its course in your River Houses atlas (riverhouses.org/books), and you can read much more about it in the comprehensive Jubba River entry in Wikipedia or on your next visit to your local library. On Saturdays we post homeschool Arts & Music notes, and today we’ll do that in conjunction with a notable historical and cultural anniversary. Today is the 65th (!) anniversary of the coronation of Britain’s Queen Elizabeth II. She is now the longest-reigning monarch in a thousand years of British history, and (as far as I’ve been able to determine) the longest-serving female head of state in the history of the world. A number of musical compositions were specially commissioned for Elizabeth’s coronation in 1953, and one of these was a grand and vast arrangement of the hymn tune known as “Old Hundredth.” Old Hundredth has been one of the most widely sung pieces of music in the world for centuries, and every educated person, whether Christian or non-Christian, should be familiar with it as part of the musical heritage of the West. But a simple piano piece like that is surely not suitable for a royal coronation! Here’s one little lesson for your homeschoolers: musicians regularly take a simple tune, like Old Hundredth, and then create from it a much more elaborate arrangement with many more instruments, an arrangement that gives a very different musical impression even though the underlying melody is the same. The best stargazing and planet-watching nights in June will be toward the middle of the month — the moon will be new (and the sky darkest) on 13 June. Be sure to look for Venus in the southwest and Jupiter in the south in the early evening. As always, you can track the moon’s phases at the excellent timeanddate.com website (timeanddate.com/moon/phases).